It is a powerful framework which works as a tool to organize, communicate and understand the science of our world. 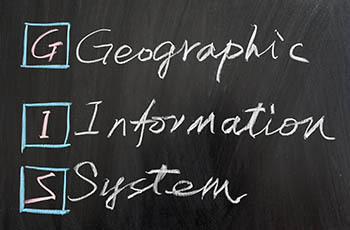 GIS is rooted in the science of geography integrating many types of data. It is using maps and 3D scenes. Through them it analyzes the spatial location and organizes the layers of information into visualizations. 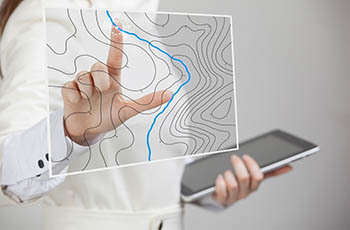 This unique capability allows GIS to reveal deeper insights into data, such as patterns, relationships, and situations – which then enables users to make smarter and better decisions. GIS is able to use any information that includes location and in addition, the location can be expressed not only one but in many ways, such as latitude and longitude, address or ZIP code. GIS can compare and contrast many different types of information. The system can include different data for example about people, such as population, income, educational level or religion. It can include information about the landscape, such as the location of the mountains, different kinds of vegetation, and different kinds of soil. The entity of possibilities for different data is tremendous. With GIS, people are able to compare the terrain between different countries, but as well to find out to whom they are related to. It is changing the world while hundreds of thousands of organizations are using it in nearly every field. Organizations all around the world are using it to make maps that communicate, perform analysis, share information and solving complex problems. The phenomenal development of the geographic information system has happened during the last five decades. The development includes everything from the first GIS as a rudimentary tool to a modern, strong platform and to an own field of science. The very early history of GIS goes to 1960s where the first computers and the early concepts of quantitative and computational geography came out. The earliest GIS work was an important research by the academic community. Then later was formed a research which included science topics, such as spatial analysis and visualization which was made by the National Center of Geographic Information and Analysis. These occasions made the groundwork for geographic information systems. In 1963 Roger Tomlinson worked to initiate, plan and develop the Canada Geographic Information system which resulted in the world’s first compurtized GIS. Tomlinson created an automated computing system to store a large amount of data and he named it GIS. One year later in 1964, Howard Fisher created SYMAP, one of the first computer mapping software programs in Northwestern University. In 1965, Harvard Laboratory for Computer Graphics was established by him. At this Lab, some of the first computer map-making software was created, besides the Lab was used as a research center for spatial analysis and visualization. Many talented people were working at the Lab and as a result they created multiple early concepts for GIS. In 1969, a member of the Harvard Lab Jack Dangermond, founded with his wife the Environmental Systems Research Institute, Inc (Esri). Their company applied computer mapping and spatial analysis to make land use planners’ and land resource managers’ decisions easier. Their work presented the value of GIS for problem solving. Esri went on and based on it, many of the Geographical Information System methods now in use were developed. When computing eventually became more powerful, also Esri improved with time and its’ software tools too. Esri was able to solve real-world problems and they kept innovating and developing the system and GIS tools. In 1981 the first commercial GIS product (ARC-INFO), developed by Esri was launched and their evolution as a software company started. Today, GIS has more to give to this world and its’ businesses than ever before. With GIS, people are able to create own digital map layers which help them to solve real problems concerning our world. The development of GIS has also went into means of data sharing and collaboration which shows the importance of a continuous, overlapping and interoperable GIS database worldwide. 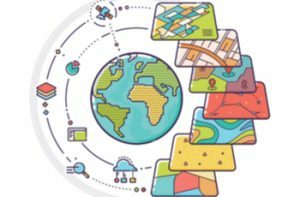 Every day hundreds of thousands of organizations are sharing their work in GIS and creating billions of maps as well as revealing patterns, trends and relationships about every possible matter. 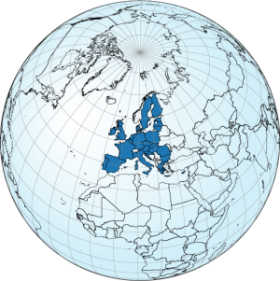 Geographical Information Systems are taking a highly meaningful part in nowadays’ world. It keeps evolving and providing a whole new framework and process for understanding. During the last ten years, the growth of GIS has been unprecedented. Nowadays powerful technology is getting cheaper as well as the system memories are expanding which means that the handling of much bigger sets of data is now possible. It is even said that now it’s the Golden Age of GIS while it has become a core part of modern environmental science degrees. Multiple environmental sciences (for example geology, climatology, statisticians, etc.) are already offered in a module at undergraduate level. In addition most universities have started to offer Master’s degrees specifically in GIS during the past five years. Many people can’t believe the actual fact that this technology was around already over fifty years, because there are still a lot of people who just started to learn about the potential of GIS applications for them and their work. For these people everything in GIS is new and the endless possibilities are unbelievable. GIS definitely makes many jobs easier, faster and helps people to do more things in the same space of time without depending of the time or place. GIS is using both hardware and software systems. These GIS applications are possibly including cartographic data, photographic data, digital data or spreadsheets. Cartographic data are in form of map already, and may include information, such as the location of roads, mountains, rivers or islands. Also survey data and mapping information may be part of the cartographic data. Photographic data again is the major part of the GIS. Photo interpretation contains analyzing aerial photographs and appraising the appearing features. Digital data can be entered into GIS as well. An example of this kind of data are the satellite data which are used to show the land use and to locate the cities, farms, forests and lakes etc. Another tool which can be added into Geographical Information Systems are remote sensing provides. This includes imagery as well as any other data collected from balloons, drones or satellites. The last form which can be included to GIS is table or spreadsheet form. Examples for this data are population demographics, such as age, income, gender or Internet preferences. GIS is using the location as the key index and in top of it can be added all information without depending of the source or original format. This information will be overlaid on top of different single maps. The actual process of putting information into GIS is called data capture. Digital formed data can easily be uploaded into GIS whereas maps, etc. must first be scanned or changed some other way to digital format. There are two major types of GIS file formats which are raster and vector. Raster formats are cell or pixel grids which are useful for storing GIS data that change for example satellite imagery. Vector formats are polygons using points (nodes) and lines. Vector formats are the most useful to store GIS data with firm borders, for example streets. GIS takes all the information from various maps and sources to form an accurate and compatible scale. A scale is the relationship between the distance on a map and the actual distance on Earth. In many cases, GIS must also manipulate the data to reach similar projection between different maps. A projection means the method which is used to get the Earth’s curved surface into a flat form to a paper or computer screen. When changing three-dimensional shape onto a flat surface some parts must be stretched and some squeezed. This leads to it, that the world’s map is only possible to either show the correct sizes of countries or their correct shapes, but never both at the same time. Geographical Information System technology adapts geographic science and tools for its’ understanding and collaboration. It helps people to achieve the common goal which is to gain intelligence from all types of data. MAPS: are stored geographically into GIS containing all the data layers as well as the important analytics. The maps in GIS are simply to share and modify in apps, and everyone in everywhere has virtual access into them. DATA: By using the spatial location, GIS is integrating multiple different kinds of data layers. Most of the data includes geographic component. Imagery, features, and basemaps linked to spreadsheets and tables are all parts of GIS data. ANALYSIS: Spatial analysis is giving for the GIS users a large scale of opportunities and tools to have new perspectives to their insight as well as decision-making. With spatial analysis the users can evaluate suitability, capability, they can estimate, predict, interpret and understand, and even more. APPS: GIS apps are working virtually everywhere in every device (mobile phone, tablet, web browser, etc). Apps are serving intent user experiences for getting work done. Geographical Information System is used everywhere from agriculture to public health care. Many various fields are already long been using GIS. The use for GIS is very wide which allows almost every field to benefit from it. GIS can be used for example in scientific investigations, resource management and development planning. For retail businesses GIS enables the chance to deliberately and exactly plan where to locate the next store. Whereas marketing companies are using GIS for making decisions of whom to market and where to market. Scientists are using GIS for example to compare population statistics to resources, like access capacity for healthcare. Biologists are tracking animals through GIS. City, state or federal officials are planning the responses in case of natural disasters by using GIS. In this case GIS helps to locate emergency shelters and to plan which roads should be safe to use in case of natural catastrophes. Different engineers are using GIS in multiple purposes such as support of design, implementation, and management of communication networks. Also for the infrastructure of internet connectivity, developing the road networks or transportation infrastructure. When hurricane Katrina happened there was alarming need for proper disaster management and tools for it. This disaster has seen by many as the first time when GIS was used as a tool for disaster management. GIS technology helped to share a great deal of data about the streets which were and were not accessible. GIS also gave the information where everywhere the flooding had reached. The effort of GIS data transmission was helping the whole situation and it gave relief efforts. There are no limits existing for the kind of information is possible to analyze using GIS.